Considered by many as the the bicycle capital of the world, Amsterdam’s love affair with the two-wheeler means that today there are now more bikes than people. A whopping 38 percent of all trips inside the Dutch city are made by bicycle, with the flat landscape and vast network of cycle routes making it a pleasure, rather than a pain, to get around. Still, there are times when a city dweller would like a break from the bike, a reality that Uber has just turned into a business opportunity. Launching UberBike on Thursday, the ride-hailing giant is offering vehicles with bike racks so you can sling your bike in on your next journey. “We know for sure that sometimes you don’t feel like biking back home – because it rains like crazy or your legs are simply too tired from all the dancing,” Uber wrote in a post announcing the new service, declining to add that excessive use of the ol’ combustible herbage during a trip to one of the city’s famed coffee shops may also be a good reason to stay off the bike. For regular Uber users, the new service looks like a breeze to use. Amsterdam-based riders will see the UberBike option when they open the app. Select it, enter your pick-up location and wait for an Uber car to turn up, complete with a rack for your bicycle. 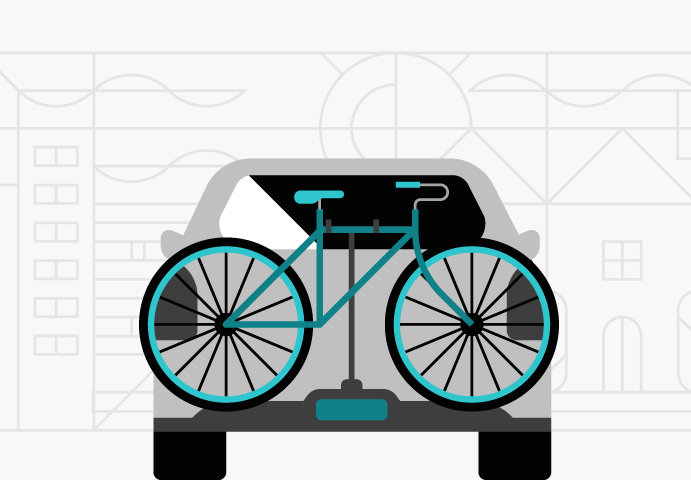 The cost is the same as a regular UberX trip – plus an additional €4 (about $4.50) for the bike – and the car will only be able to take a single velocipede, or whatever it is you’re riding about on. Uber actually wheeled out a similar service for cyclists in Portland, Oregon, last year, though there’s it’s called UberPedal, and it can take two bikes as opposed to Amsterdam’s one.